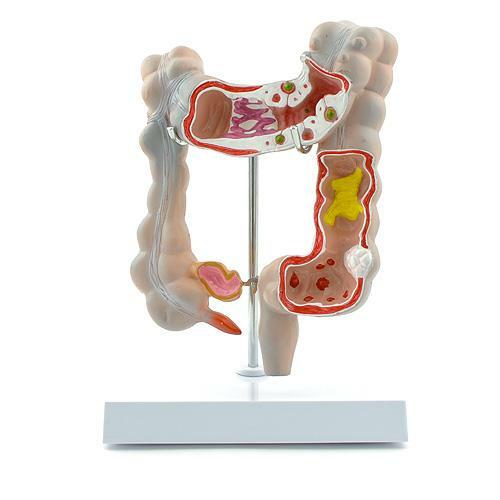 Cutaway model of the large intestine (smaller than life-size). Shows: adhesions, inflamed appendix, cancer, Crohn’s disease, varicose veins, etc. On request, from regional distributors (catalogue ref. H127132).